Think you don’t need an E-Reader, think again! “I don’t need an E-Reader!” I know. That’s what a lot of people say when I tell them to check out the Kindle Paperwhite. The thing is, outside of the US, E-Readers are pretty hard to come by unless you’re in a BIG electronic store. I can only ever find two reasons why people don’t want to buy an E-Reader. Both valid arguments. I mean, today what with our smartphones, tablets, notebooks, desktops and now smart watches, who needs another electronic device. Certainly not me. I’ve got one notebook, 4 desktops, two iPads and an iPhone. The last thing I need is an E-Reader to cart around. 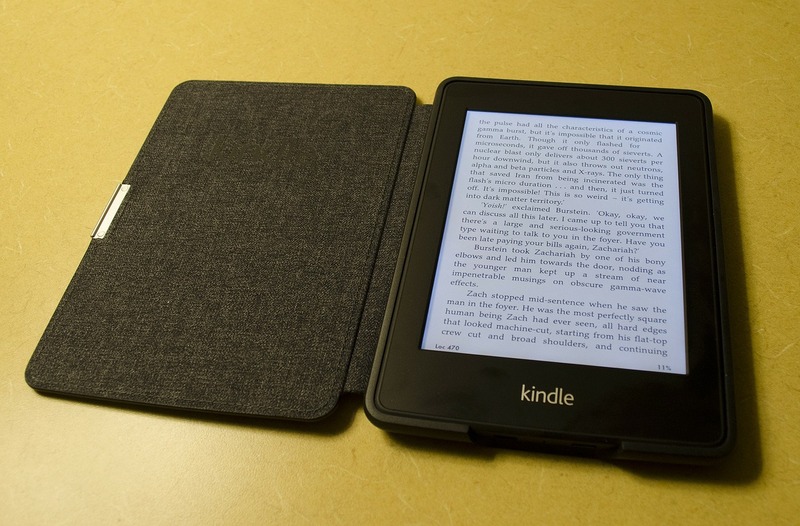 Two years ago, I wasn’t sure what to get my wife for her X-Mas present, but saw that Amazon had just released their newest E-Reader – the Kindle Paperwhite. It intrigued me, and while I wasn’t sure my wife would like it, I thought it would surprise her. I was right. Here in Japan though books present a problem, space. I have bought over 400 books in the last 7 years and I’m having trouble figuring out where to put them all. As you might remember in a previous post, I talk about chunking. Bath time is a perfect example of time management for me. At present, I practice phonics with my son at bath time, but it won’t be long before he starts reading. So the Kobo H2O fit the bill. Let me tell you – it’s just awesome. It’s not often I tell people to buy something, but if you’re a serious student of success, I highly recommend you pick up an E-Reader.